June is here and it’s time to get SERIOUS about how lean you look in those shorts and tank tap. 3 -4 bad days can really make a difference in water retention and weight loss. 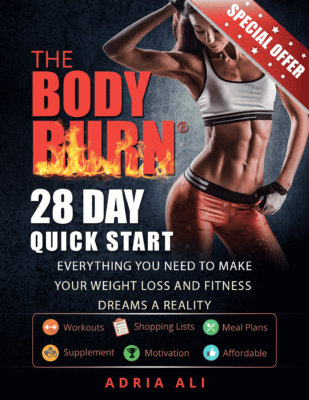 Don’t let it get too out of control, reel it back in and lose some of that excess by throwing in some low carb meals through out the day! This low carb recipe is a great combination of salty, sweet, and low carb! You can use it as a side dish, a salad topping, a snack or even a main course (if you like). It’s also gluten free, dairy free, and low fat. Perfect for any gathering or daily meals! 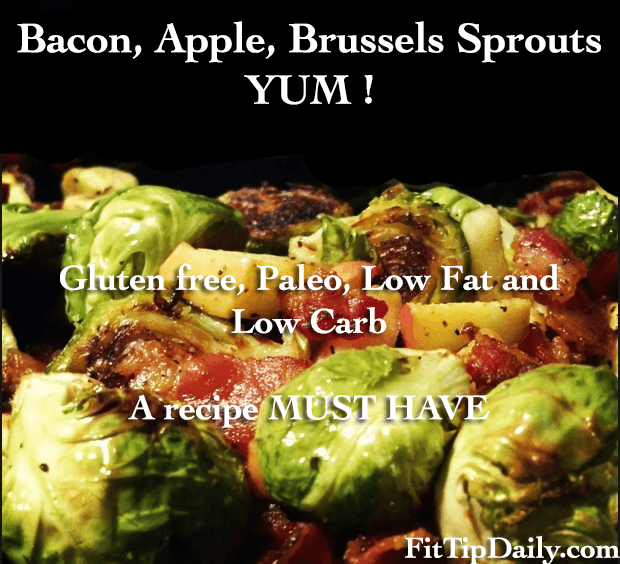 Apple, Bacon, Brussels Sprouts – YUM ! Turn on the oven to 425 degrees. Arrange bacon on a large baking sheet. Bake until browned and slightly crispy. This usually takes 10 minutes remove from oven. Then add brussels sprouts on top in a single layer and sprinkle with salt and pepper. Roast the Brussels sprouts until they begin to brown, about 15 minutes. You can spray the sprouts with a little bit of olive oil if you feel they are too dry. This is more important when you are using turkey bacon since it’s usually leaner then the standard version. Remove from oven, and toss in apple and your choice of bacon. Return to oven; roast until Brussels sprouts are browned and tender and apple has softened, 10 to 15 minutes. This low carb recipe is simple, fast and cheap! If you are looking to cut down on fat then uses a low fat turkey bacon. If you want to cut down on time (even further), you can use the prepacked Brussels sprouts from Trader Joe’s. If you love these recipes then spread them around and let the healthy life style become contagious!